WordPress is web software you can use to create a beautiful website or blog. 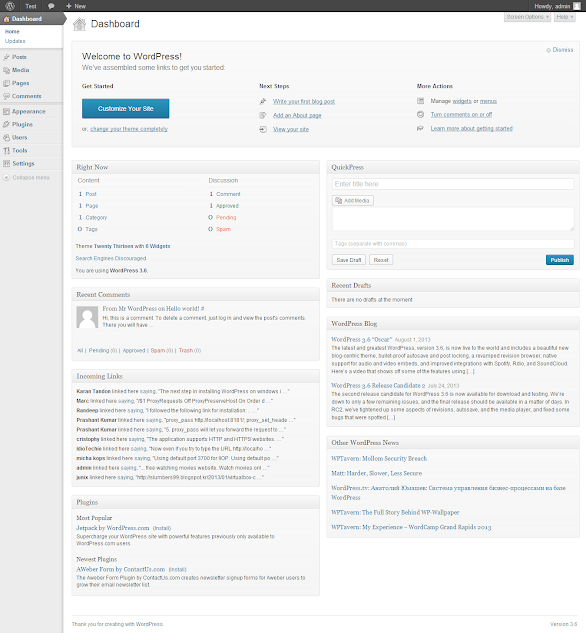 WordPress is an open source blogging tool and Content management system (CMS) based on PHP and mysql. Know more about Wordpress. 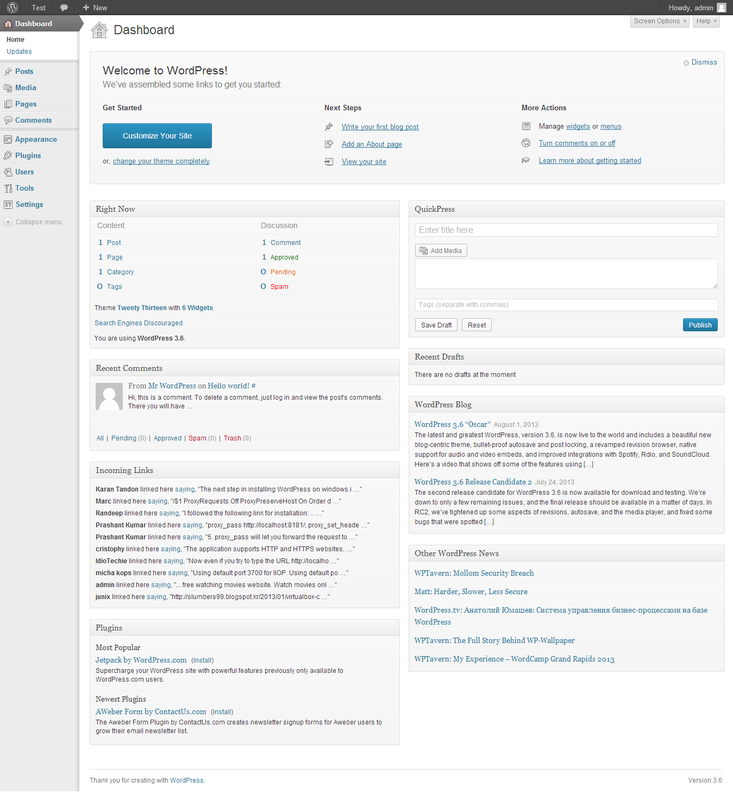 WordPress users may install and switch between themes. Themes allow users to change the look and functionality of a WordPress website or installation without altering the information content or structure of the site. One very popular feature of WordPress is its rich plugin architecture which allows users and developers to extend its abilities beyond the core installation. Widgets are small modules that offer users drag-and-drop sidebar content placement through the implementation of plugins' extended abilities. The above requirements are fulfilled by installing WAMP Server which stands for Windows,Apache,Mysql and PHP. To install a WAMP server on your windows machine, follow this link. Once you finish installing WAMP Server. You can continue installing Wordpress on it. Extract zip files to that folder. Once extraction is completed, turn on your wampserver in the tray. Once wampserver is online it turns green as shown in the figure below. Step5: Click on Wordpress folder and follow the screens to install Wordpress. 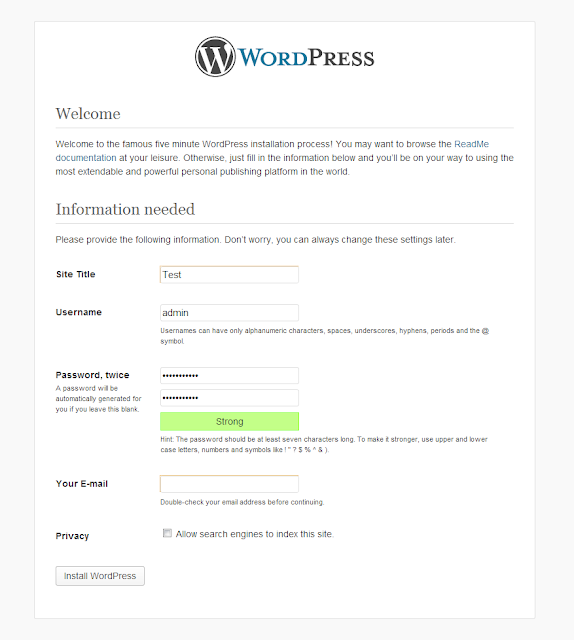 Step5.5: Before installation you need to provide minimum site details to Wordpress. Site Title: For now it you can just add TEST later you can modify it. Give your email id incase if you forget your password or username you can retrieve it back. Since you are installing Wordpress on local server uncheck All search engines to index this site. Step5.6: You will redirected to the Wordpress login page where you can enter your username and password which you registered with in step5. 5. Enter your Username and Password and click Login. 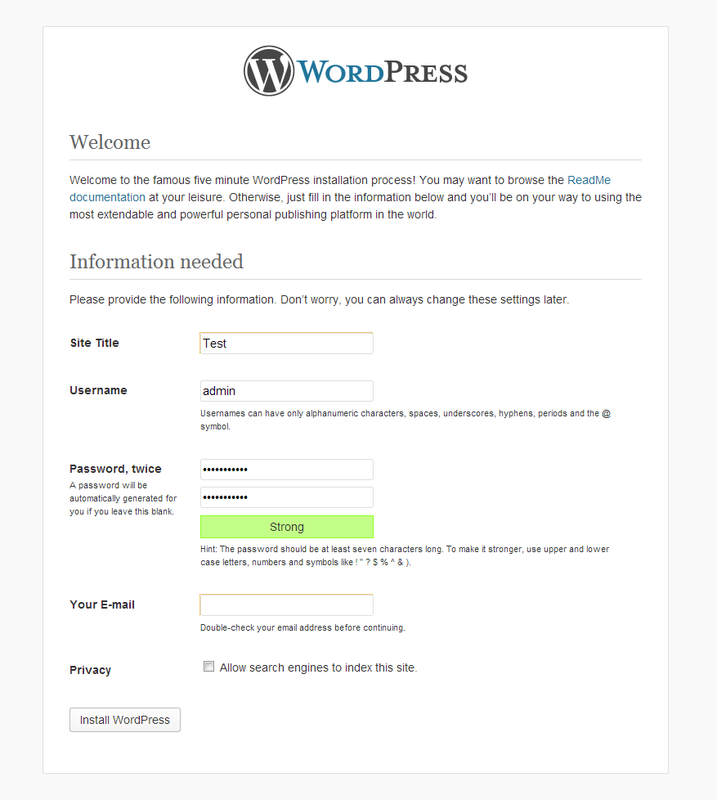 You will be redirected to Wordpress Dashboard. Yes you are all set. Your new WordPress application is installed. You can use the Login In button to access your administrative backend and start posting on your new site. 1. 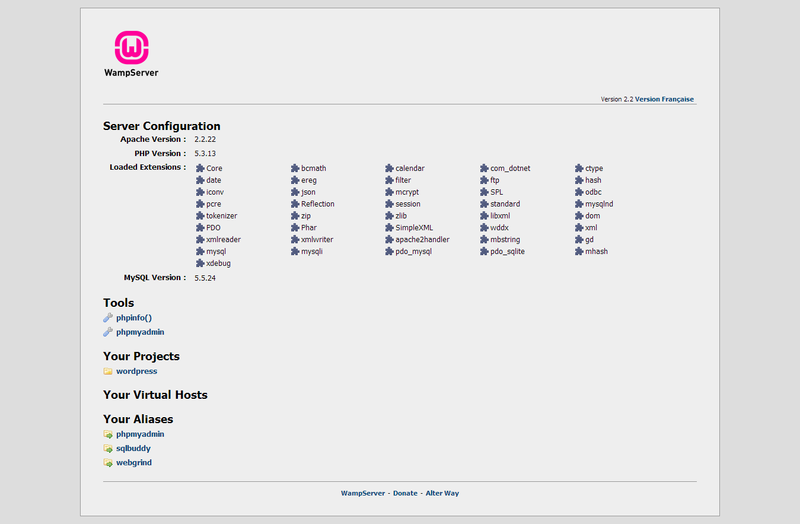 Start your WAMP Server. Subscribe to my mailing list to know more technology stuff and freebies.